Since the industrial revolution, our economies have developed a ‘take-make-consume and dispose’ pattern of growth — a linear model based on the assumption that resources are abundant, available, easy to source and cheap to dispose of. It is increasingly being understood that this threatens the competitiveness of Europe. The new EC Circular Economy Strategy aims a "closing the loop" of product lifecycles through greater recycling and re-use, to bring benefits for society, environment and economy. 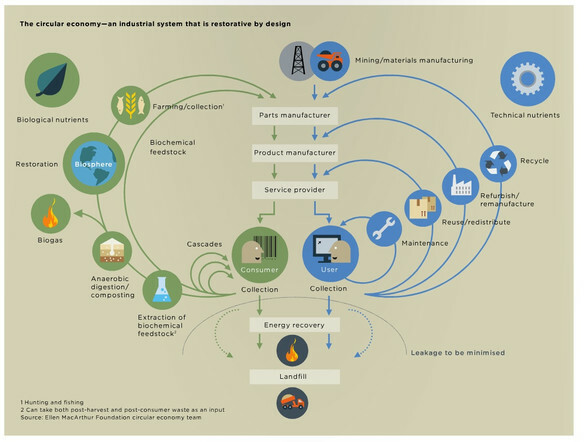 However, closing the loop of materials streams poses many challenges to research and innovation: increasing durability, reparability & recyclability of products (Extended Producer Responsibility), improving waste management and resource efficiency in industrial sectors, fostering industrial symbiosis and remanufacturing. MOVECO, realised within the frames of the Interreg Danube Transnational Programme, responds to this challenge and sets its objective to improve the framework conditions and policy instruments for eco innovation and the transition to a Circular Economy, fostering smart and sustainable growth and reducing disparities among the regions in the Danube Region (DR). MOVECO results include a strong transnational partnership competent to implement the Circular Economy & meet its targets. Based on a research on inefficiencies in innovation in current Extended Producer Responsibility schemes and related R&D services, we will develop a transnational strategy for the transition to the Circular Economy (identification of possible materials streams for the DR) and roadmaps for their implementation in the different innovation regions. With new services and tools for eco-design and eco innovation (Circular Economy Toolbox), MOVECO will support new business models and research-business cooperation along new value chains. The MOVECO partnership comprises representatives of all target groups; policy-makers, business support organisations (BSO), R&D institutions as well as civil society organisation: All committed to unleash the potential of the Circular Economy in the Danube Region, thus boosting competitiveness and ensuring security of supply, and leading to economic growth and new jobs. For more information about the MOVECO project and the Interreg Danube Transnational Programme please visit the official project website and programme website.